Superman was a hero. Clark Kent was a geek. Spiderman saved lives. Peter Parker sold photographs to his local paper. Chris Moyles entertains 8 million people each week on BBC Radio 1. Then he goes home and plays Xbox on his sofa, wearing only his underpants. Welcome to the real world of Chris Moyles. This audiobook tries to get to the bottom of the double life of this award-winning broadcaster and hapless human being. You'll find out just what he thinks of his radio show guests - some of the most famous people in the country.You'll hear about his showbiz nights out and celebrity neighbourhood. You'll also learn why he is obsessive about washing up; why he lies to the pizza delivery man; and generally what it's like being a part-time famous person and a part-time nobody. 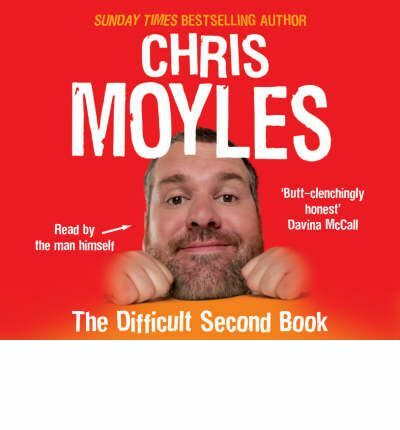 Love him or not, Chris Moyles is part of the fabric of our nation and a proven best-selling author. A refreshingly honest, caustically dry and quick-witted commentator on daily life, "The Difficult Second Book" is a highly-entertaining listen from start to finish. About the Author: Chris Moyles is the host of BBC Radio 1s Breakfast Show.